Truth by Kbaig: A Political Compromise? Since last ten years Karachi has been hot topic for discussion all over the world. Every Pakistani wants to talk over it; the rumors / reports on the social media also raise concerns in the readers. Although the speech of the Altaf Hussein was not telecasted by Pakistani media but approximately every Pakistani owning a mobile has the speech of Altaf Hussein, addressing Hunger camp in which he is using filthy anti-Pakistan language while leaders and workers of MQM are seen bowing their heads and verifying whatever Altaf is saying. During the speech these slaves of MQM attacked media houses. These news broke as fire in the jungle; people called eachother that although media houses have been attacked but what Altaf Hussein had said in his treacherous speec? Those who knew it they did not want to repeat the filthy words of Altaf Hussein. The video footage of traitor Altaf’s speech spread like a typhoon. Whoever heard the abuses of Altaf Hussein, forgot that to which party, language or province one belongs; they just got violent and returned to the basis; everyone became a Pakistani. Protest started against traitor Altaf on the social media. The terrorism and lawlessness in the Karachi for last three decades was rewound in everyone’s thought. Extortion, target killing, corpses packed in bags, land grabbing, torture over innocent people, drilling holes in the bodies, hanging points made in the playgrounds, suspicious silence of victims even the silence of media everything was being rewound in the public’s brains. People took a sigh of relief when in the late night Rangers started arresting notables of MQM. However, whole nation was once shocked when not only the central leaders was released but given the chance to appear before the media for Press Conference giving explanations for Altaf Hussein treason speech and future of MQM. People hoped that Farooq Sattar during Press Conference accepted Altaf Hussein as traitor and acknowledged his links with Indian terrorist agency RAW and he will announce that as a political party MQM will not have any link with any traitor. 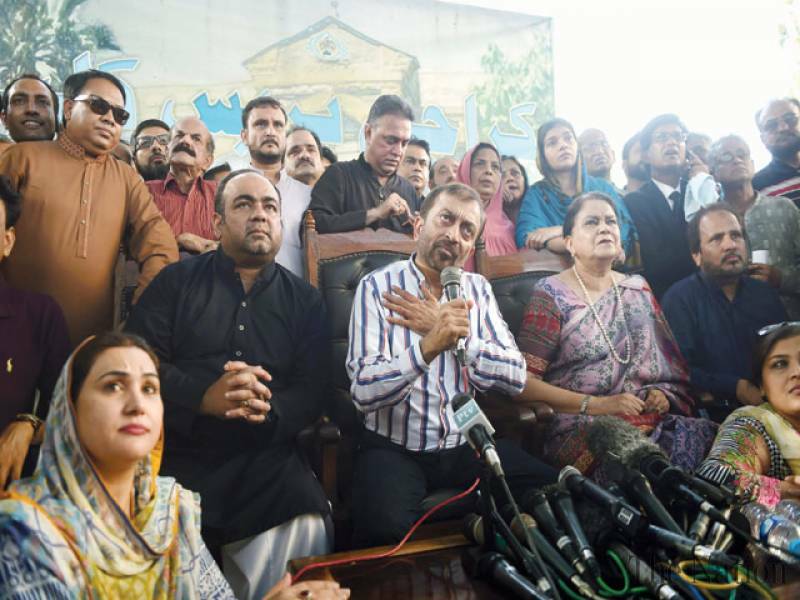 The analysts over the TV Channels were also in the view that Farooq Sattar himself would lead the party through his colleagues and Altaf Hussein will have no role in this regard. Public waiting a big announcement from Farooq Sattar were shocked when he declared that he has no link with the Altaf’s speech of yesterday but forwarded the lame excuse that due to poor health Altaf said all this. Therefore, Altaf wants to take rest however, he would be the Chief of MQM. People were still trying to digest this sugar coated pill that other colleagues of Farooq Sattar made this clear in their statements on the TV Channels that Altaf Hussein is MQM and the press conference by Farooq Sattar was conducted his command. Despite of all this Farooq Sattar stuck to his point that MQM is now independent in Karachi. The news was also issued that Altaf is SORRY over his treacherous speech and wants apologies. The discussion was still going on that another video of Altaf’s address to MQM leaders in USA in which he used venomous language for Karachi. During this game of treason and politics the election of Waseem Akhtar as Mayor of Karachi is a separate story. Perhaps as he imprisoned he did not get the idea that what had happened outside. After being elected he not only declared Altaf as his leader but also disclosed that Altaf has played special role in his election as Mayor and he will run his mayorship as per the rules and advice of Altaf. The tone of Waseem Akhtar was also telling a separate story. The fate of the Karachi would be decided by the time. The concern for public is that during this situation political govt. remained silent. Perhaps govt. is taking this important issue of motherland’s integrity as politics and wants to resolve it in political way. Our politicians are unaware that policy of retreat without clear planning converts into powerlessness which results in destruction. Even when army has decide for retreat as a plan, it has to consider every aspect so that to what extent enemy should be allowed to march ahead as a result of retreat. If enemy is clever, he thinks of breaking up the trap before going into the trap. Pakistani has already paid the price for expedience retreat in 1968 when Mujeeb along with 34 others was arrested for links with RAW and conspiracy of disintegration of Pakistan. The conspiracy was same through which Mujeeb got successful in 1971 by disintegrating Pakistan. Colonel Shams-ul-Alam, Chief of Eastern Pakistan ISI unveiled this grave conspiracy with evidence in 1967. He not only unveiled this conspiracy but also presented the details of Mujeeb’s meeting with RAW officials at Agartala to President of Pakistan. 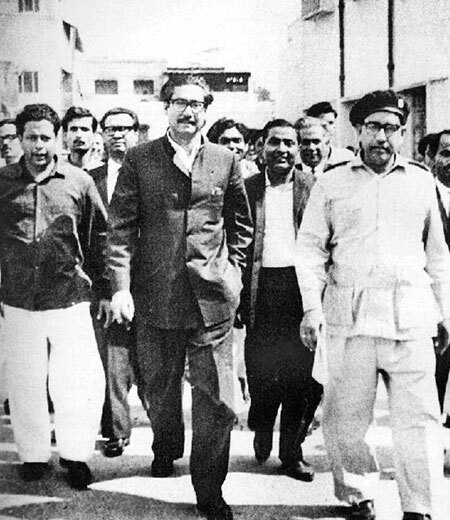 When Mujeeb was arrested along with his colleagues, Awami League termed this as political revenge of Ayub Khan. All political parties in order to tease and defeat Ayub Khan or in proper words Pakistan army joined hands with the Awami League in the protests. The story of treason is long; the summary is that Ayub Khan had to call a Round Table Conference which was rejected by all notable politicians without Mujeed. In order to end the political chaos, Ayub chose to retreat which fatefully converted into powerlessness. Pakistani got trapped into Indian trap. When Pakistan was disintegrated; politicians held Pak army responsible for the fall of Dhaka in order to hide their hideous roles. In 2011, Deputy Speaker of Bangladeshi Parliament Shaukat Ali and Tufail Ahmed one of the founders of the Awami League thanked all those Pakistani politicians who paved way for release of Mujeeb from prison in 1969. 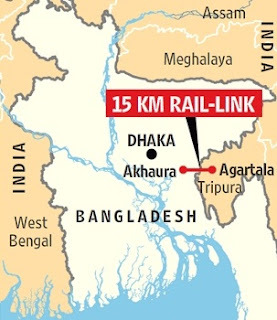 In this address it was acknowledged that Agartala Conspiracy case was based upon truth and if Mujeeb have convicted in this case, Awami League would not have been able to disintegrate Pakistan.